Looking "where to sell my Alfa Romeo Junior?" Ask the Chicago Car Club! Are you wondering "where to sell my Alfa Romeo Junior ?" The Chicago Car Club is interested in classic cars of all makes and models, especially a Alfa Romeo Junior. 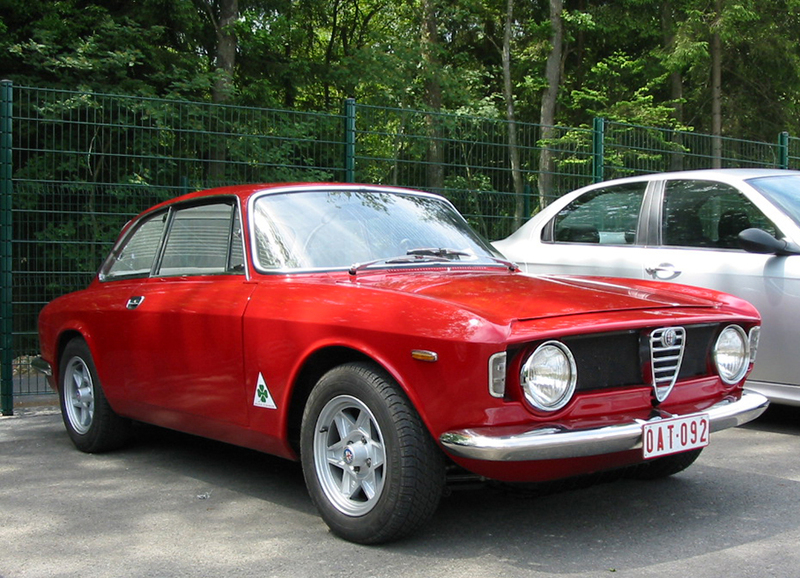 We make the process of selling your Alfa Romeo Junior quick and painless. In just a matter of hours we will have your classic valued and, if you do so choose, turned into money in your pocket. All it takes is a phone call or electronic inquiry to get the ball rolling. The GT 1300 Junior was built by Italian car maker Alfa Romeo from 1965-77. It was an entry level small coupe that replaced their Giulia Sprint 1300, which was the last of their Giulietta model cars. It was quite popular because it was small, stylish and sporty and had an affordable price. It came with a 1.3 liter engine, which was small enough to avoid taxes, which were placed on engines over 2 liters at the time in Italy. This made it even more affordable to own for the local Italian market. It was fitted with a 1300 twin cam engine, (1290 cc,) which had a 74 mm bore × 75 mm stroke, like other 105 series Giulietta series cars, but it had reduced port dimensions and other changes. Buyers appreciated the mechanical simplicity of the car, which gave them the ability to tune and modify the car to their choosing. The GT 1300 Junior had 89 hp and a top speed of over 100 mph. Its 0-60 mph time of 12.6 seconds was very respectable for its day, especially for a small and inexpensive sports car. The GT 1300 Junior had innovative features, such as the use of ATE disc brakes, which replaced the older Dunlop brakes, used on other Giulia model cars. The car remained in production for over a decade. Stylistically, it was a more refined and updated version of the original Giulia design, by Giuseppe Scarnati. This appealed to the public and made it is a fast selling car. That appeal has stood the test of time and the model is highly collectible.